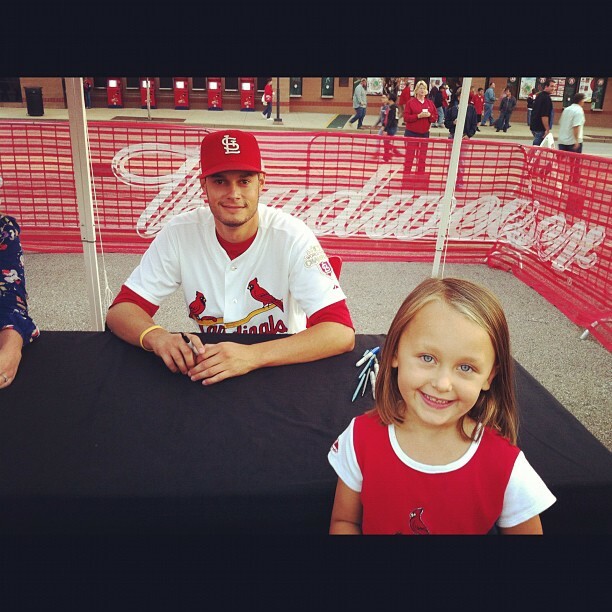 This was the last weekend of the Cardinals 2012 season. (Of course, we are hoping that the post season continues). I took the kids down to the game on Friday night while Gaga worked. We got down there early and went to the pregame festivities. 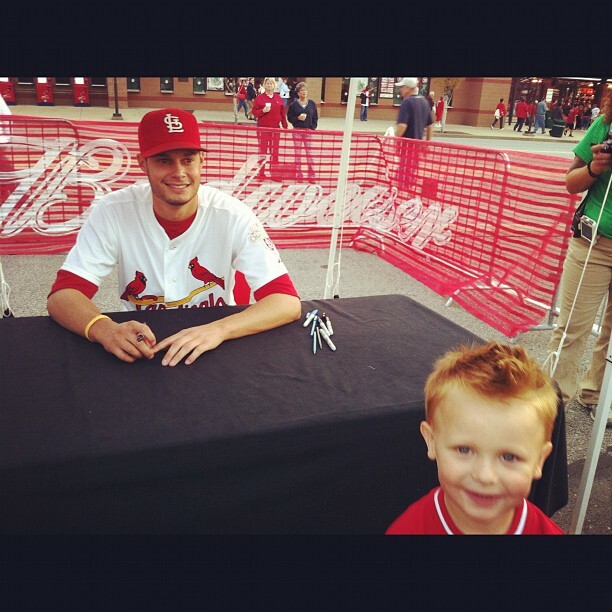 Kanin was really excited to see Joe Kelly signing autographs. Grace and Caleb had no idea who he was but had to get an autograph and picture, too. On Sunday, Kanin and I went back down to the game with my sister and my niece and nephew, Alison and Aidan. The kids had a great time and we got to see a winner! 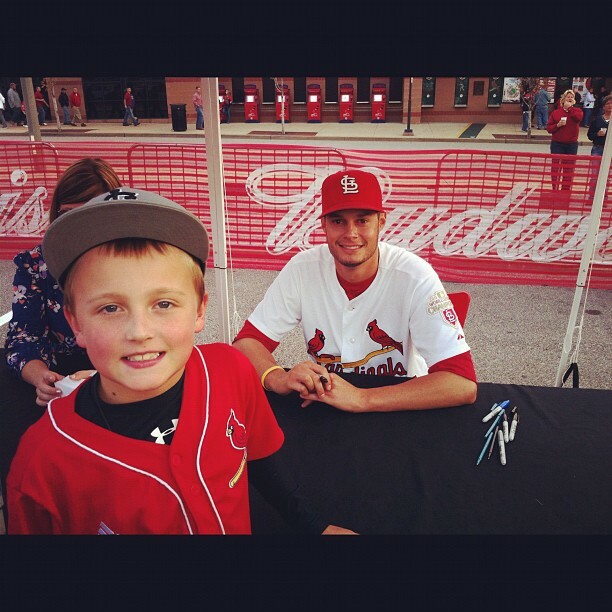 I think they were most excited, though, about getting to see Fredbird. When Fredbird read Marissa's shirt, he looked at her finger and saw that there was no ring so he got down on one knee and "proposed". Her shirt reads, "Chicks Dig Diamonds."